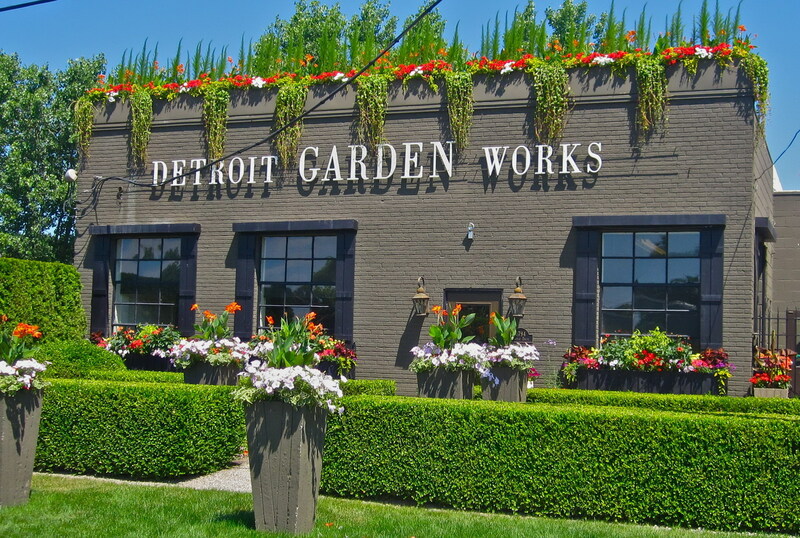 Detroit Garden Works’ ever-changing storefront. Photo by Susan Hirsch of Southern California Nurseries. A top-notch purveyor that makes a well-appointed garden a click or visit away. The appeal of gardens lie not only in the beauty of their plantings, but in the calming sense of peace, relaxation and escape that the serene outdoor spaces bring. It is something our ancestors, who lived life at a slower pace and took more time for quiet reflection, had a better grasp of. And the expertly curated selection of items at Detroit Garden Works, a retail and online shop in Southeastern Michigan, is a nod to an earlier era. In business since 1996, owner Deborah Silver, a veteran landscape and garden designer, scours the country and the globe for her unique inventory of containers, statues, furniture, decorative accessories and architectural antiques—from fine examples of French fountains to English staddle stones to American western water troughs. Not only do their offerings add instant style and character to any garden, they have something to suit nearly every horticultural taste, design sense and shopping budget. Plus, DGW will ship to almost anywhere. 1794 Pontiac Drive, Sylvan Lake, MI 48320; 248-335-8089; detroitgardenworks.com. This entry was posted in Garden, Uncategorized and tagged Deborah Silver, Detroit, Detroit Garden Works, garden, garden accents, garden accessories, garden furniture, garden ornaments, garden tools, gardening, gardening tools, Michigan, Oakland County, outdoor furniture, planters. Bookmark the permalink.